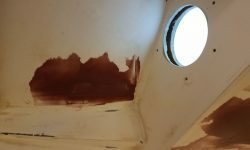 In the cabin, I started with the new patches I’d installed in various spots of the overhead liner. 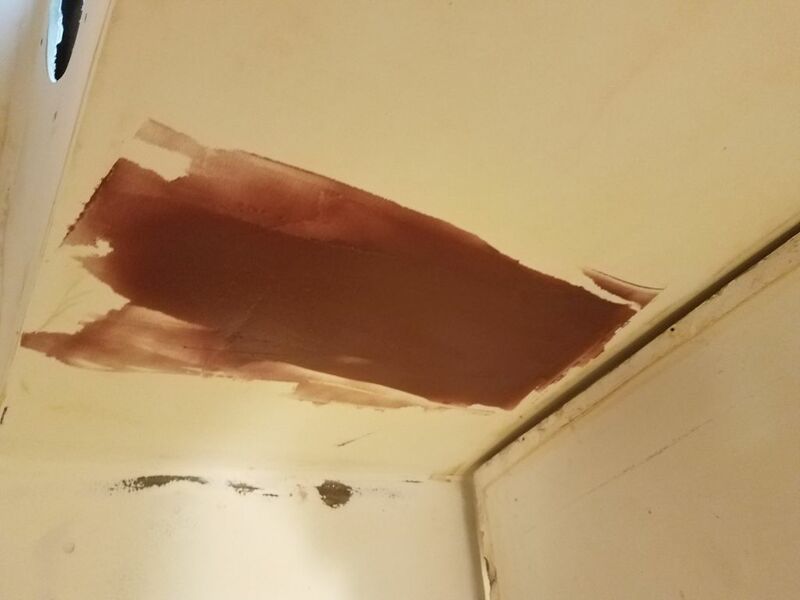 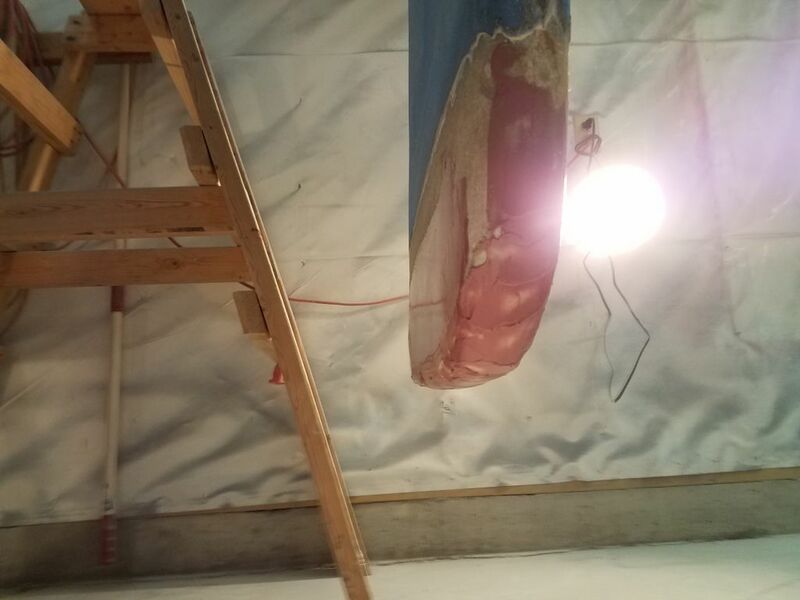 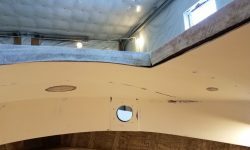 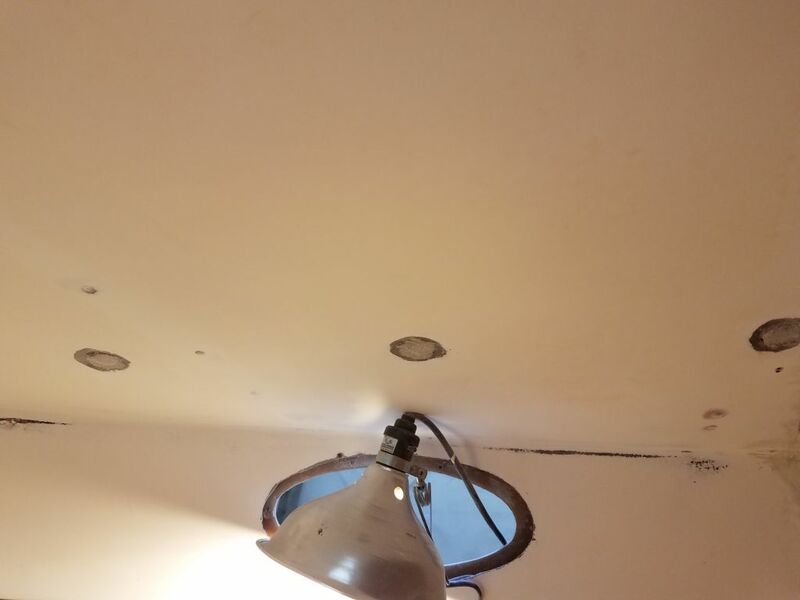 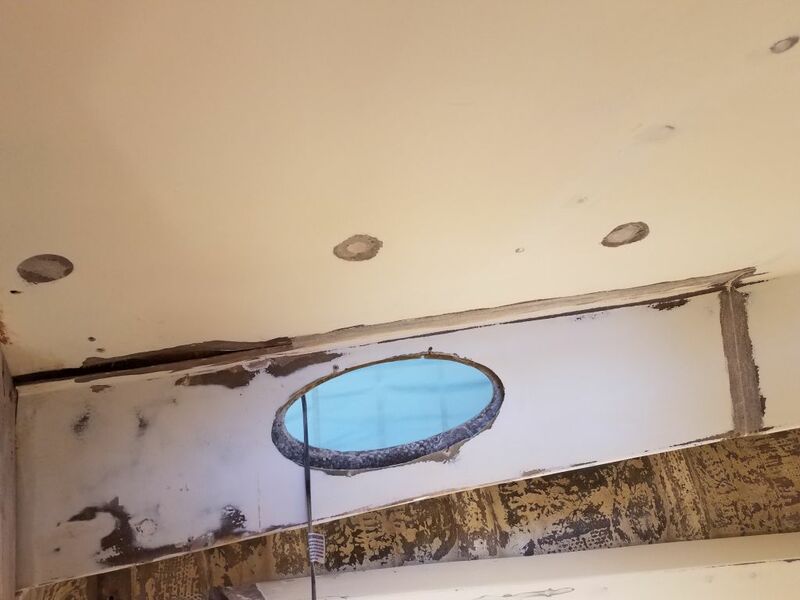 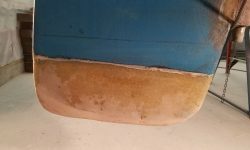 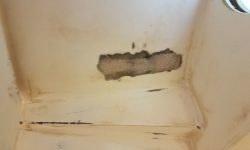 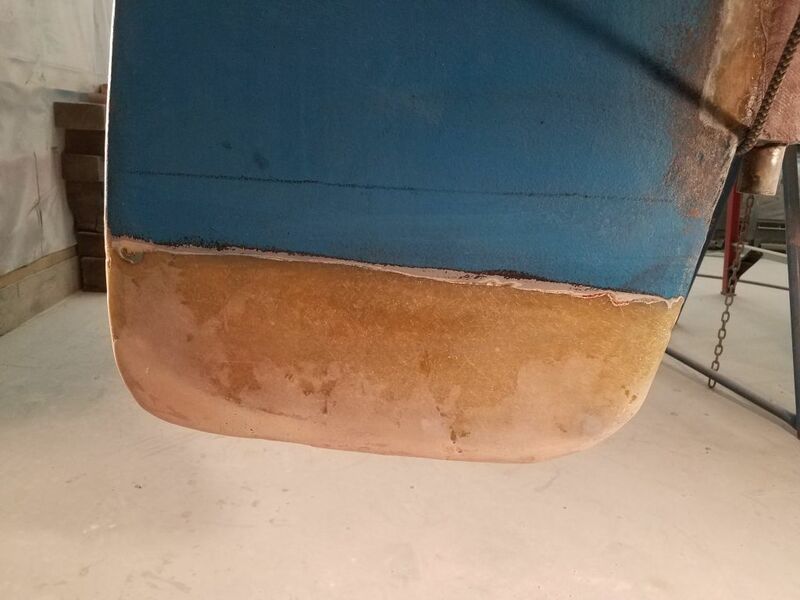 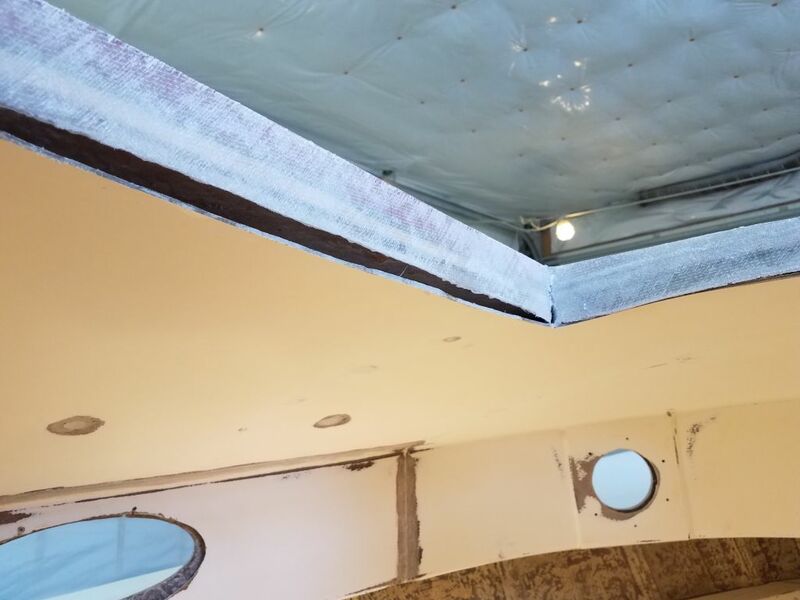 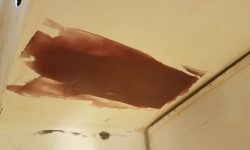 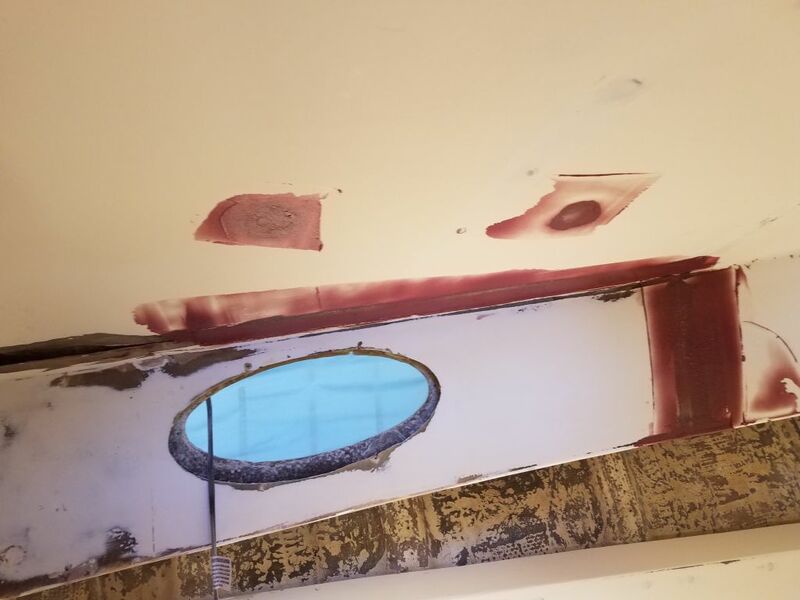 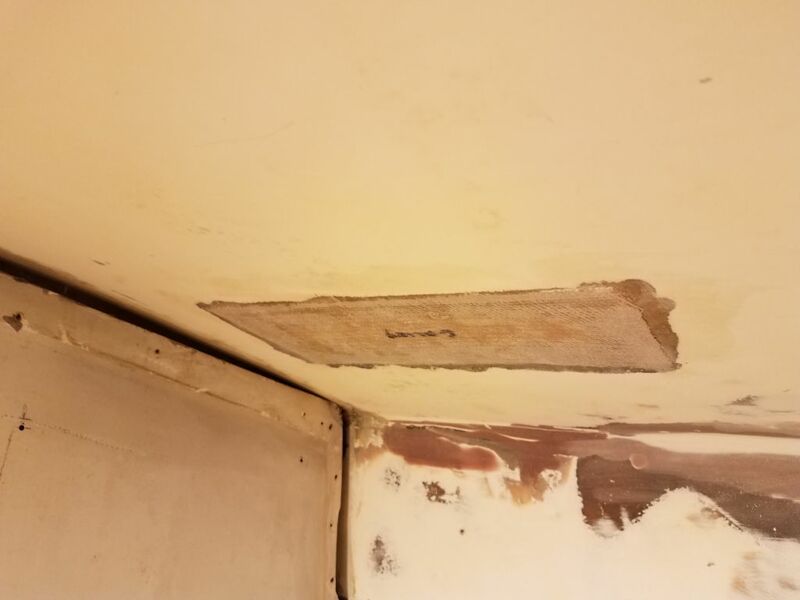 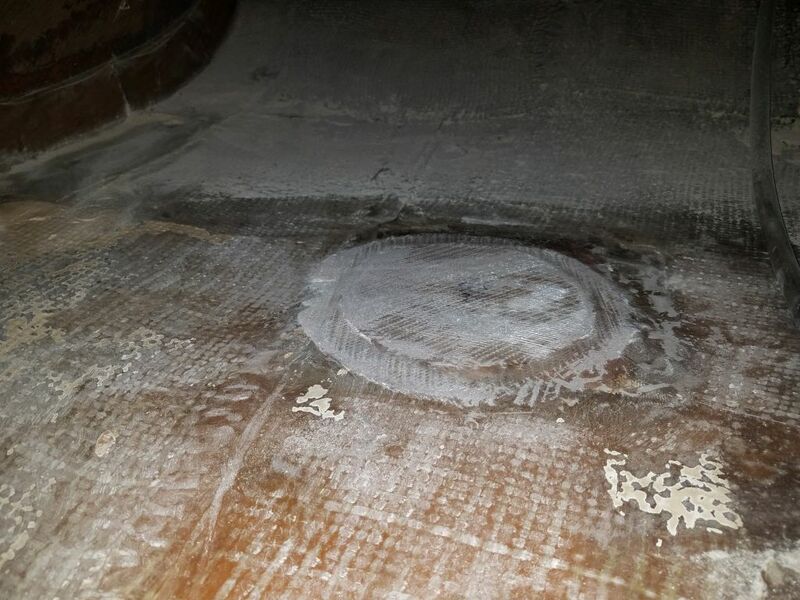 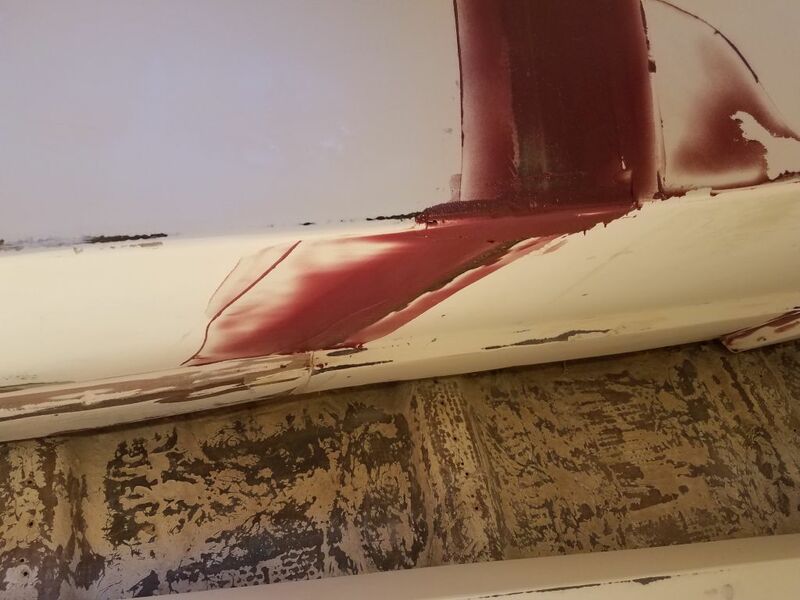 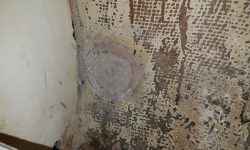 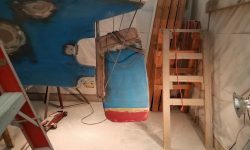 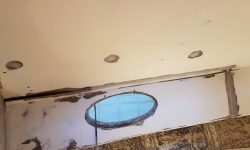 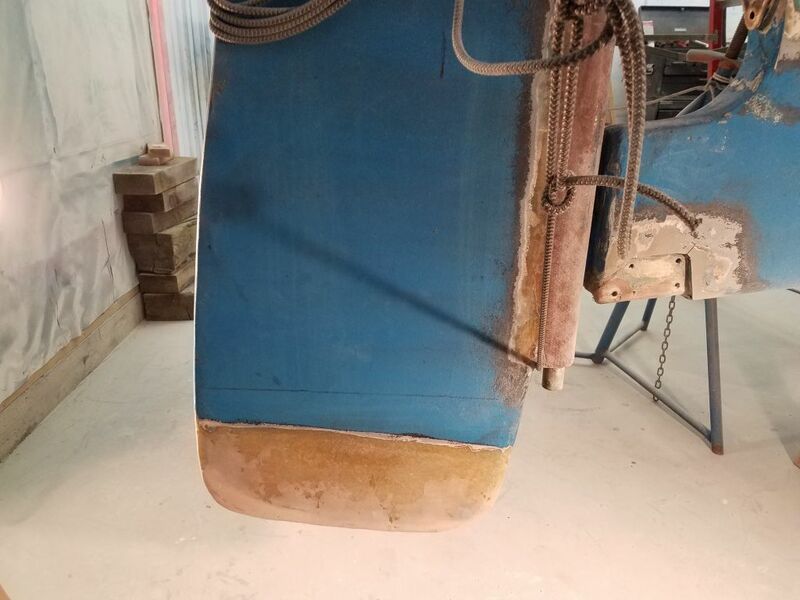 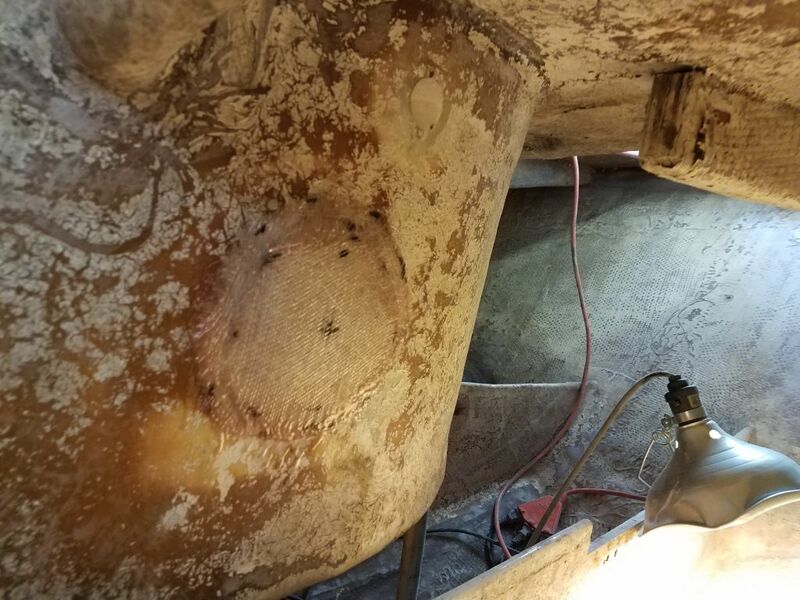 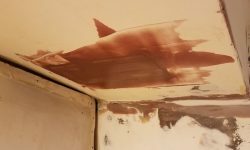 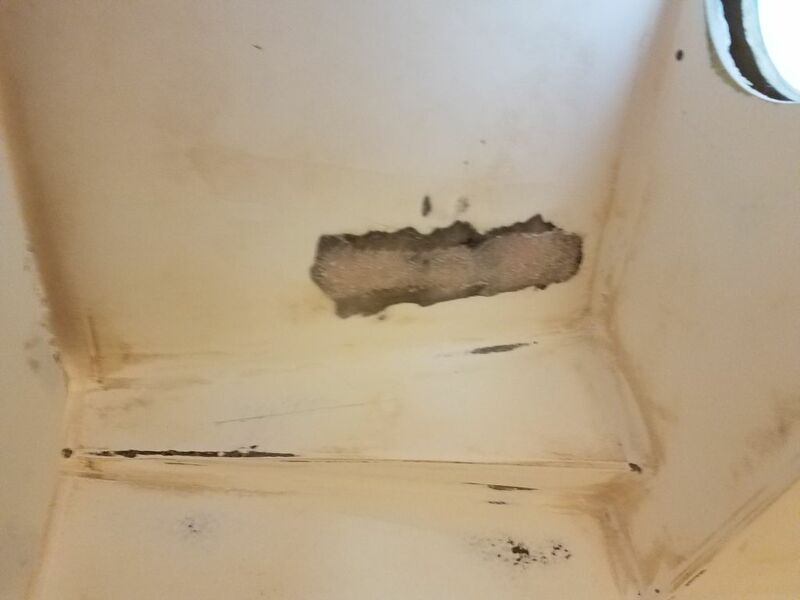 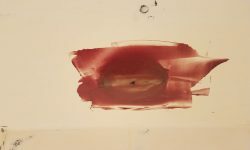 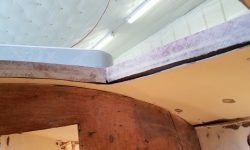 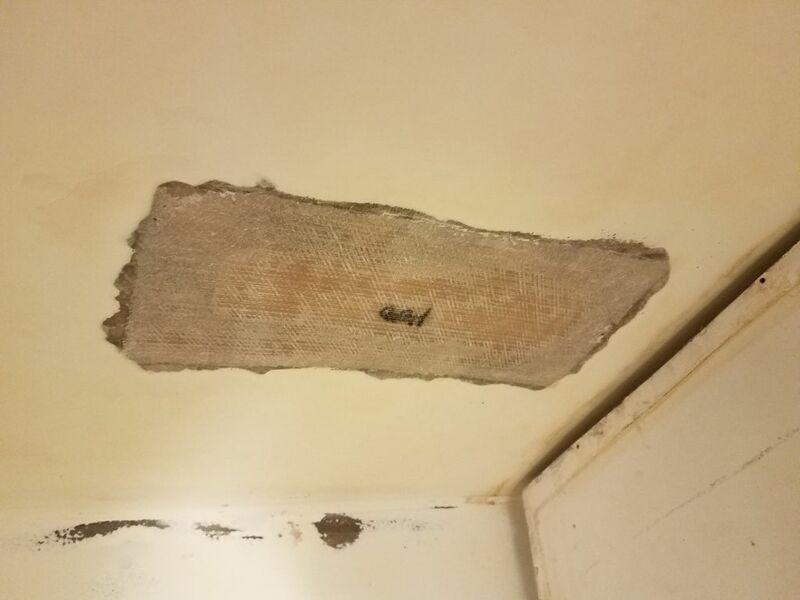 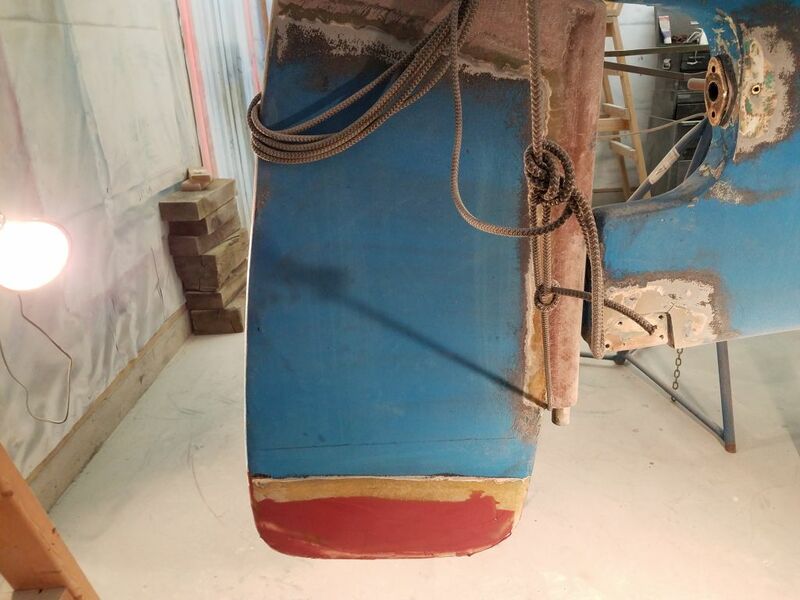 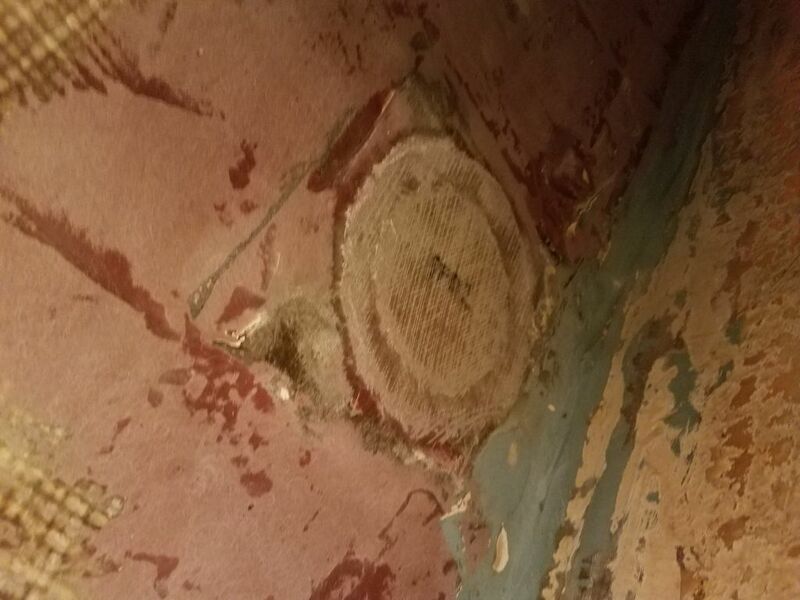 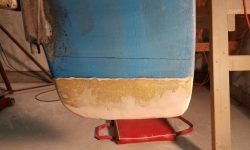 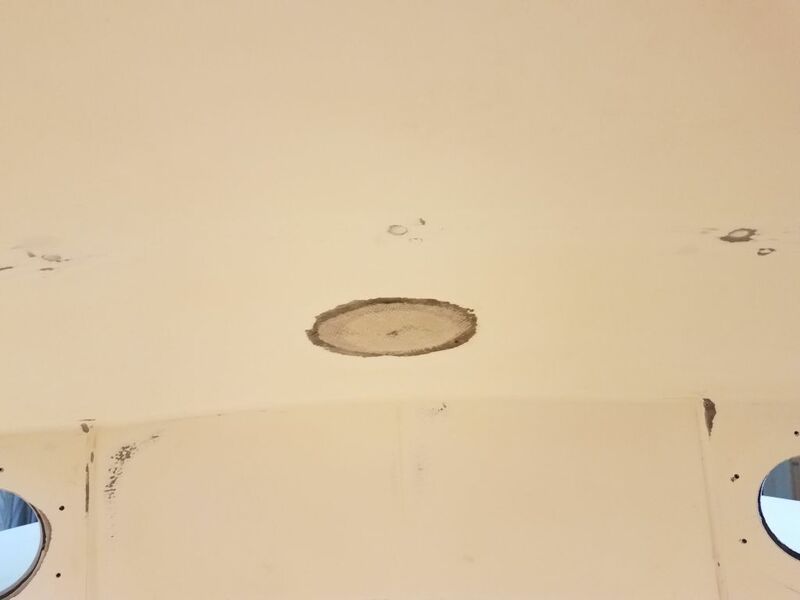 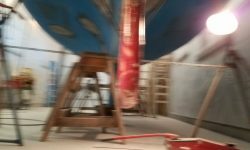 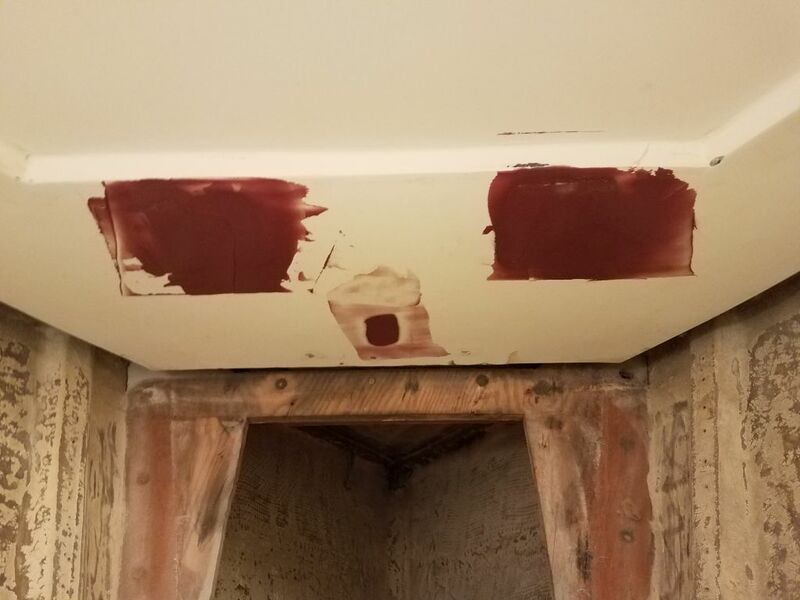 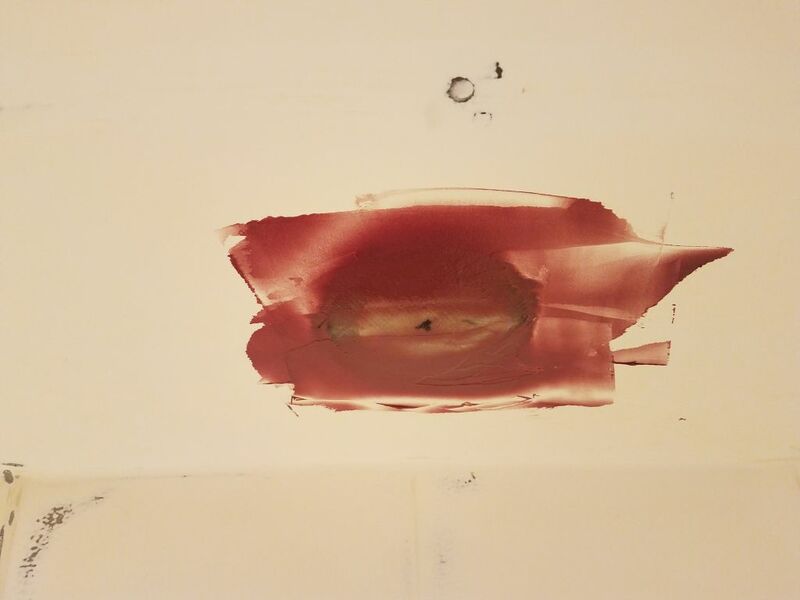 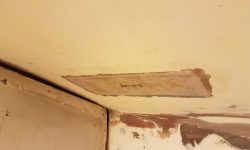 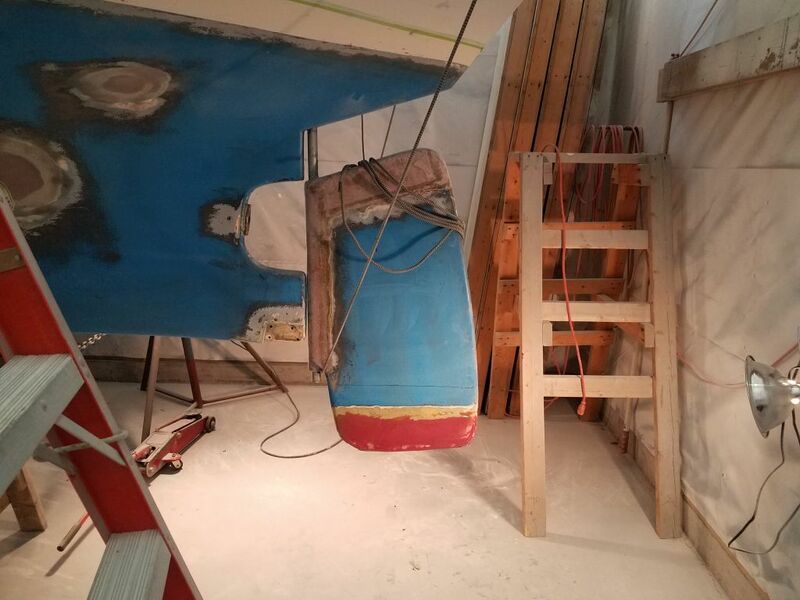 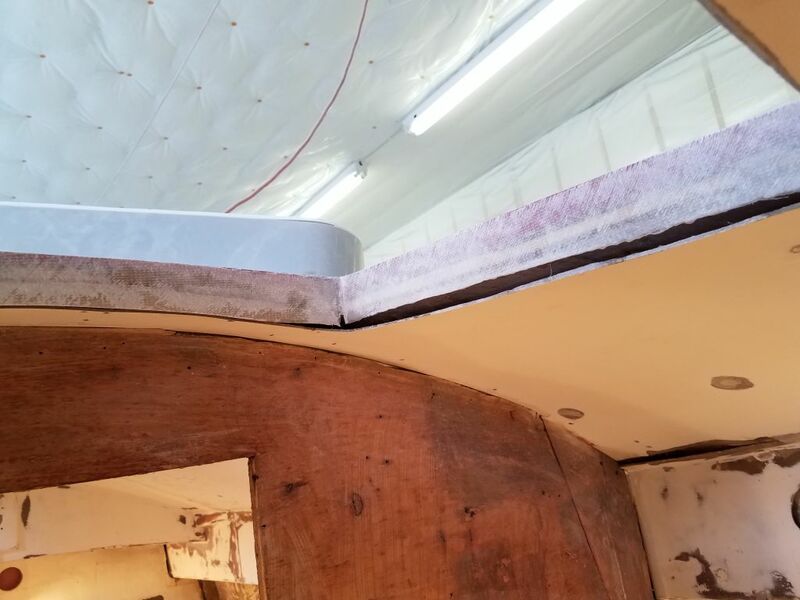 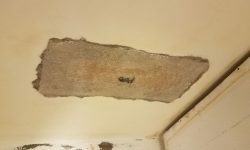 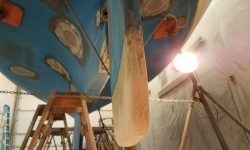 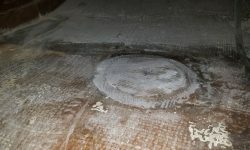 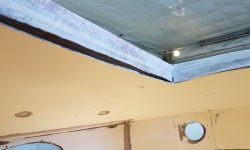 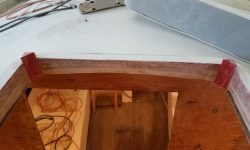 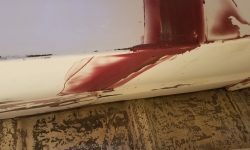 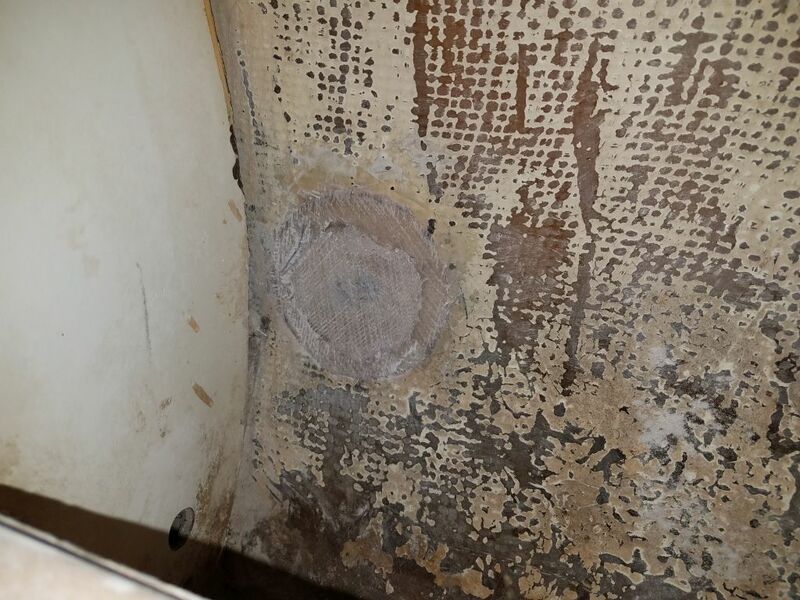 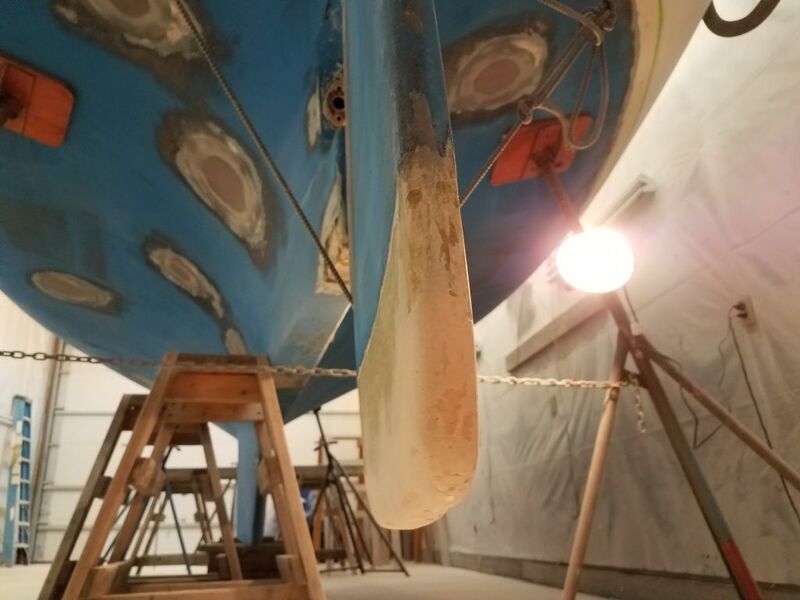 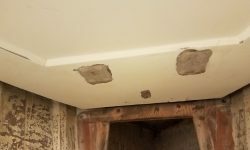 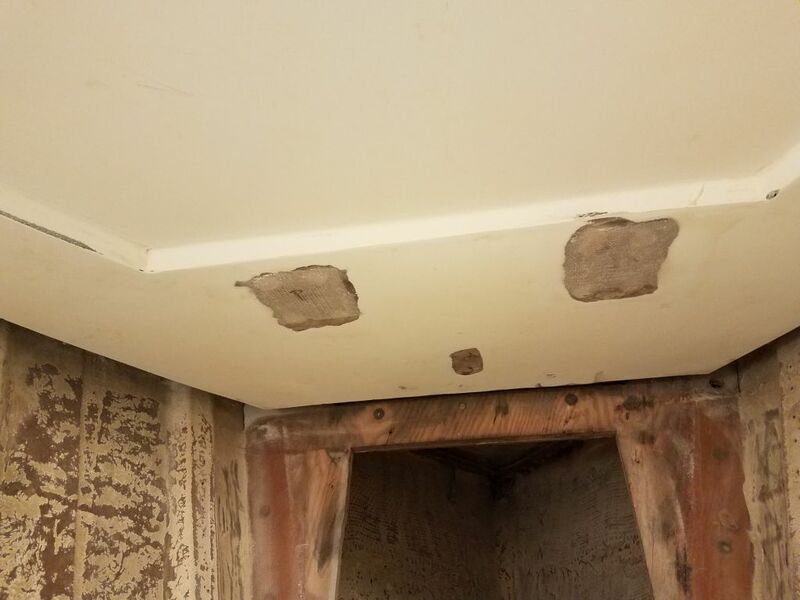 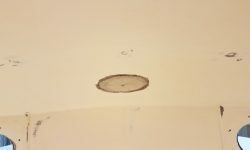 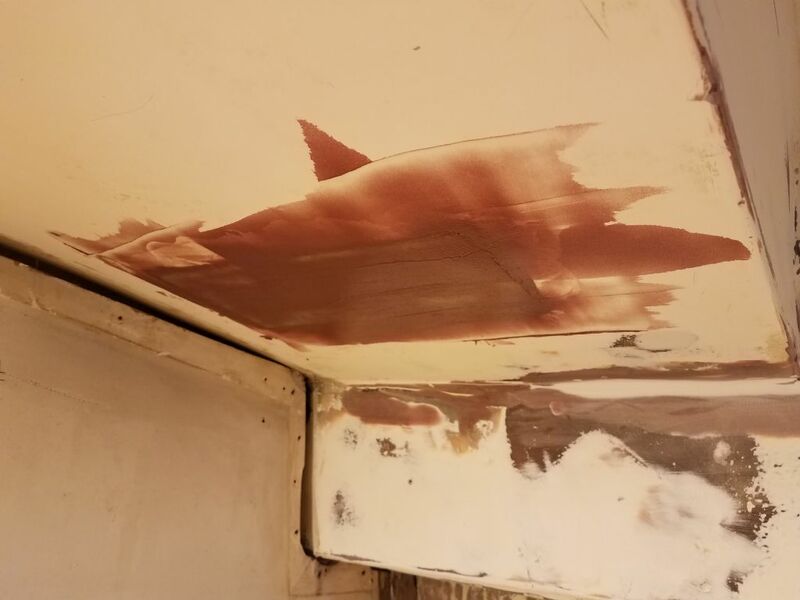 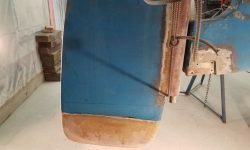 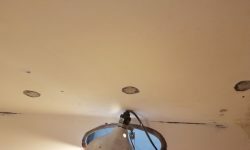 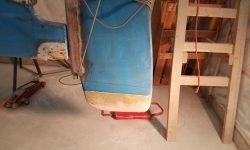 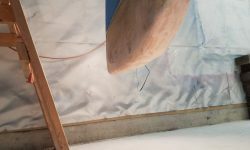 The new fiberglass required sanding to smooth it and bring it flush, as needed, with the surrounding surfaces and to prepare it for the next steps. 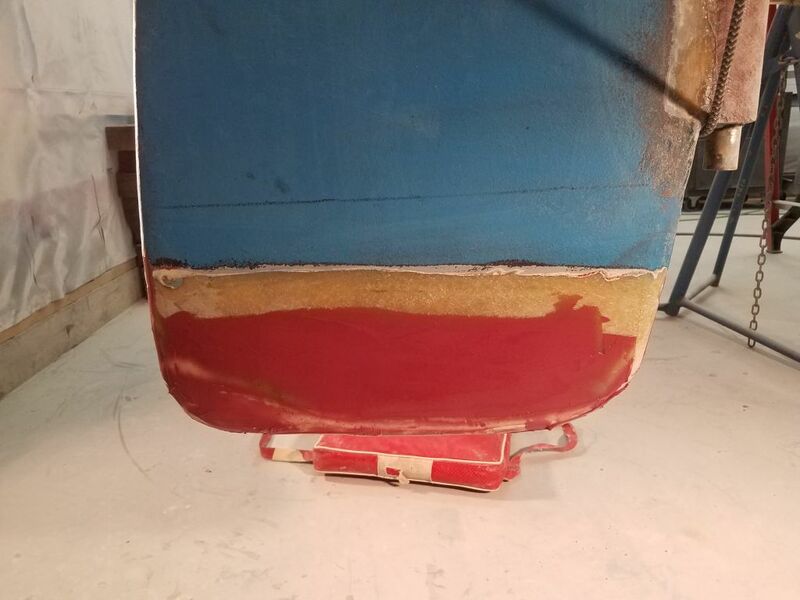 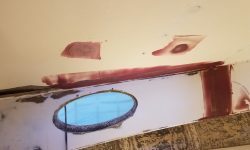 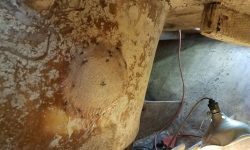 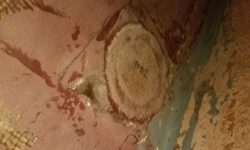 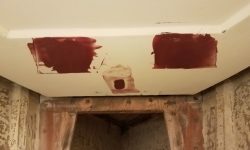 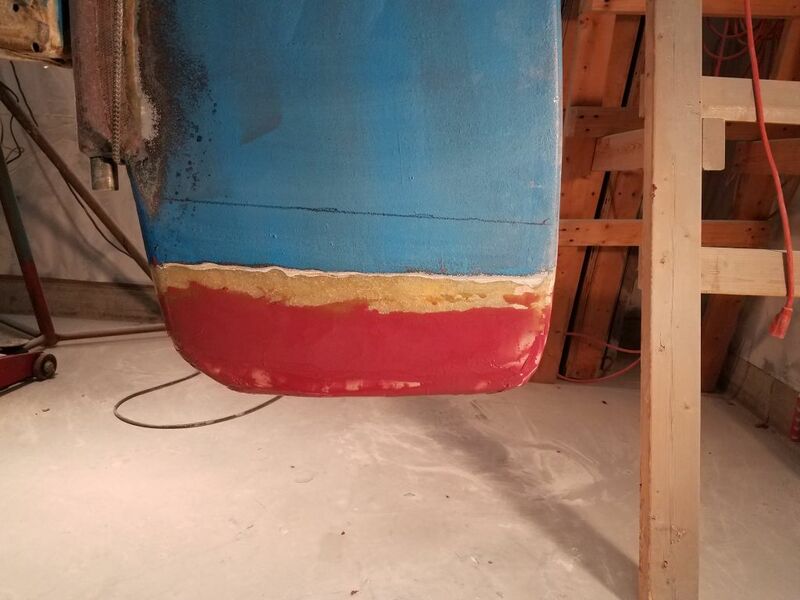 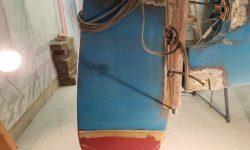 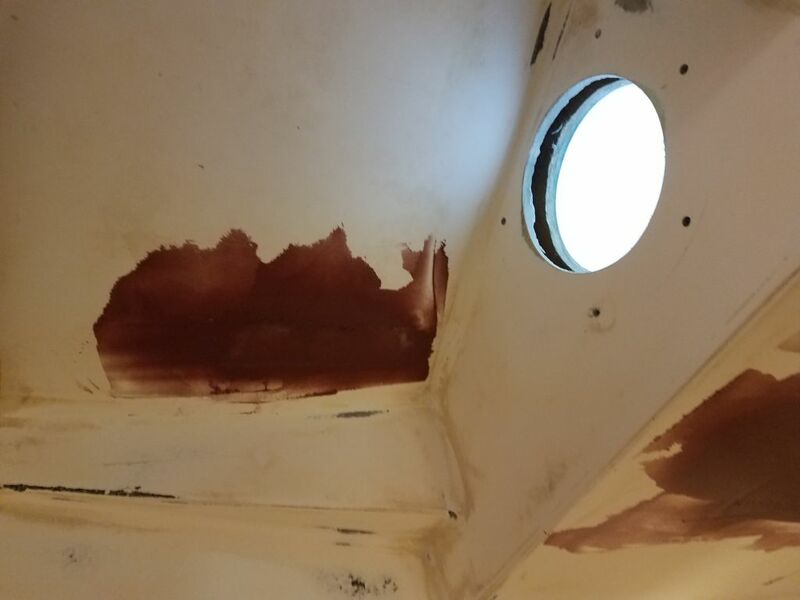 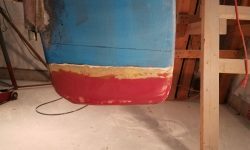 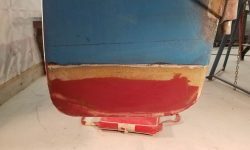 I lightly sanded the three patches over the insides of the old through hull openings in the head, galley, and port settee. 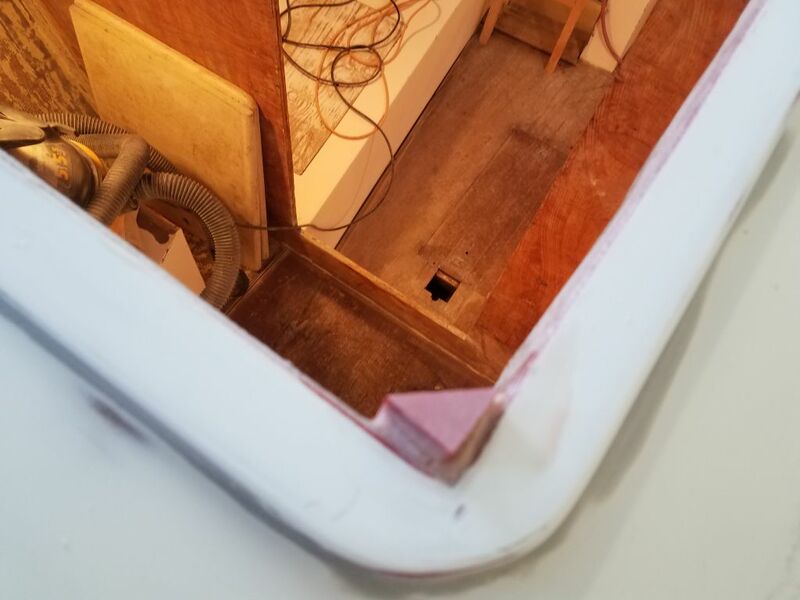 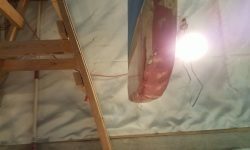 At the forward hatch, I lightly sanded the new fiberglass lining the inside of the opening. 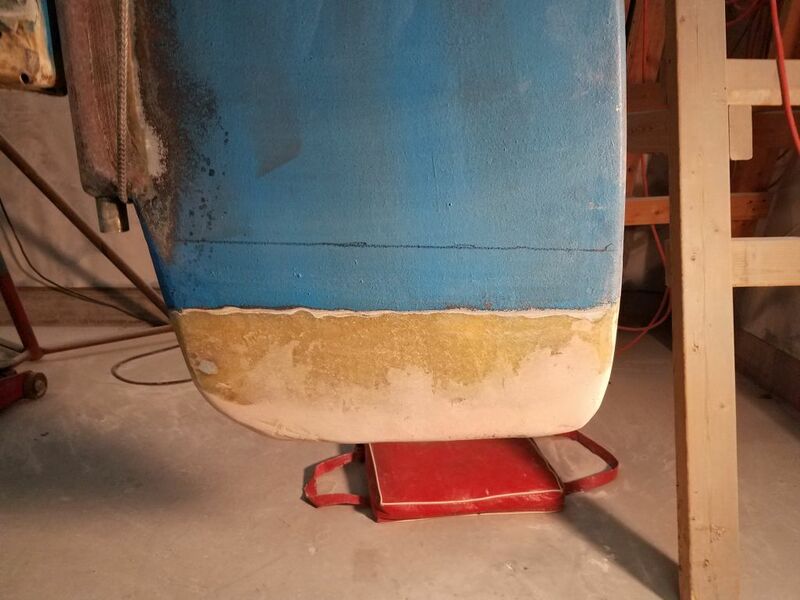 After cleaning up, I applied a coat of epoxy fairing compound over the various liner patches as needed. 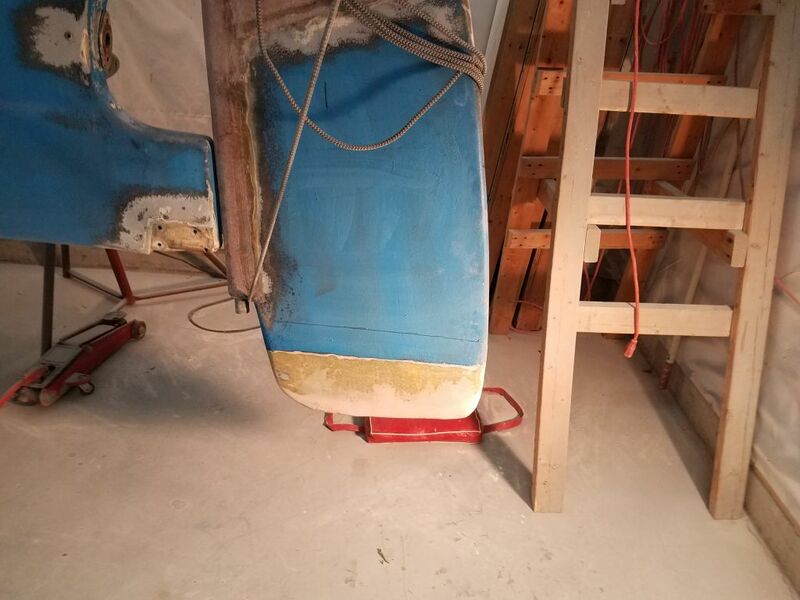 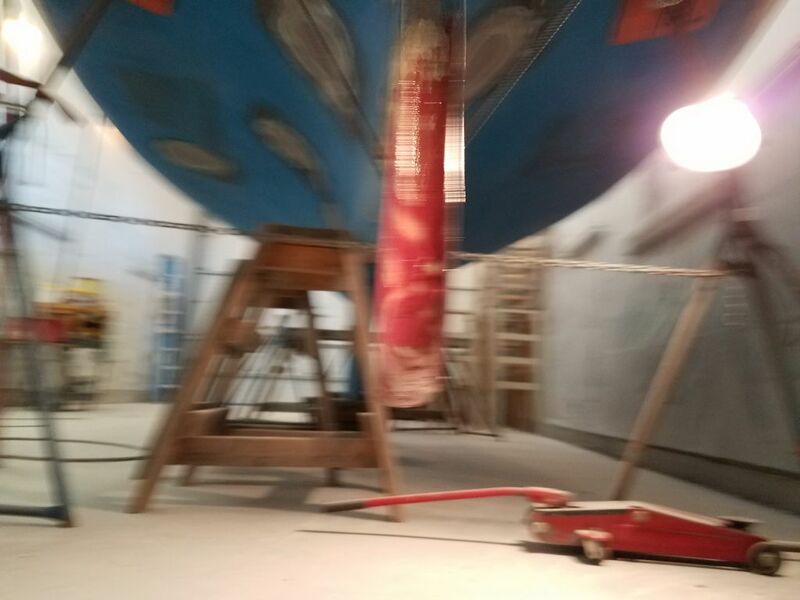 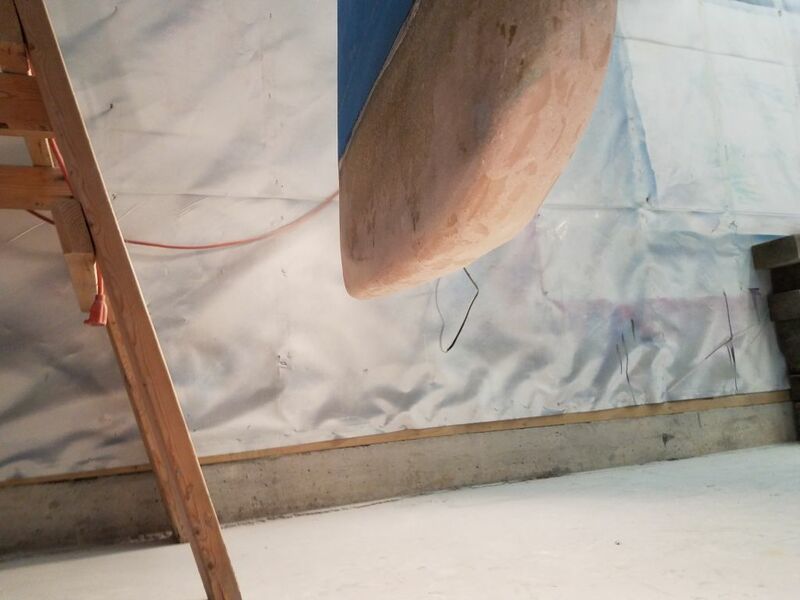 After some sanding of the latest round of rebuilding on the lower edge of the rudder blade, I finished up the initial reshaping work with a light coating of fairing compound to fine-tune the previous work, the last step before I could reglass the blade. 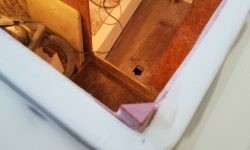 In the port cockpit locker, there was one more place I needed to install an inside patch over the old bilge pump hole, which I’d patched from the cockpit side earlier. 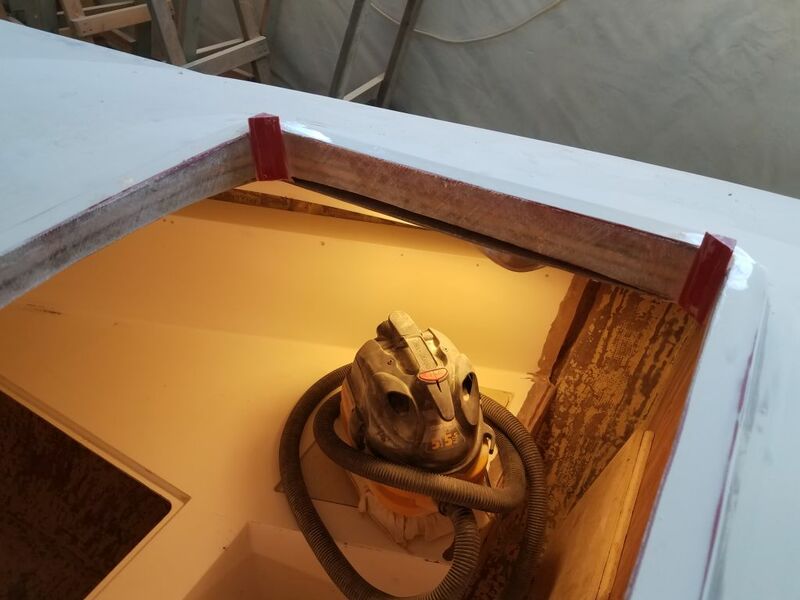 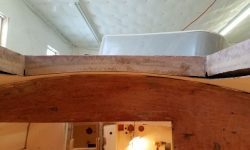 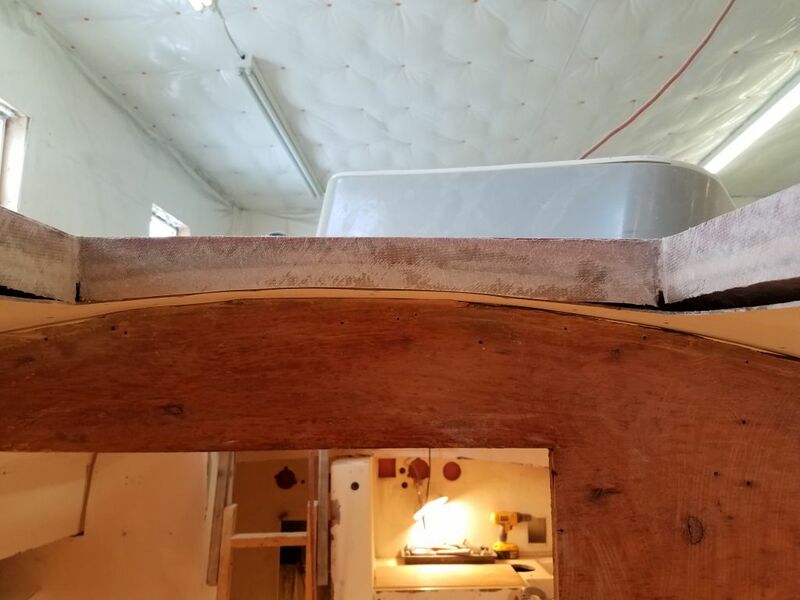 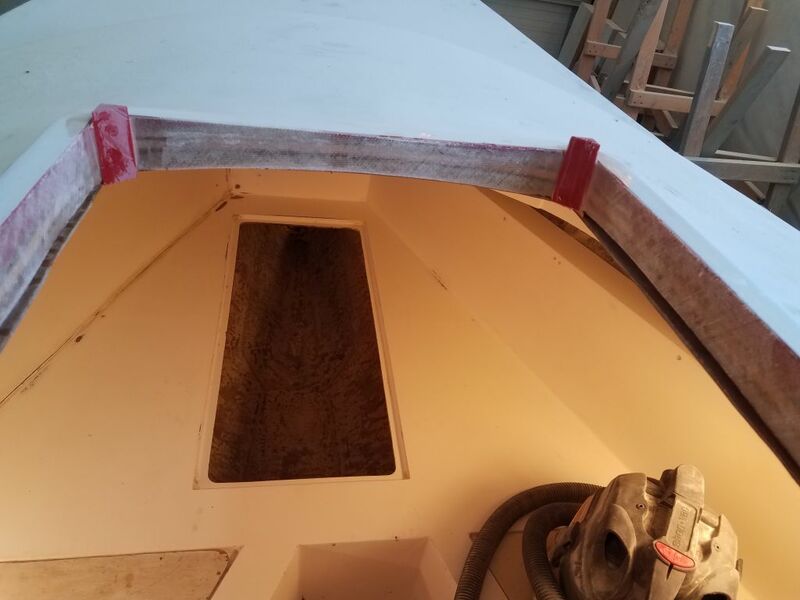 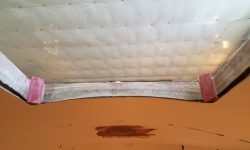 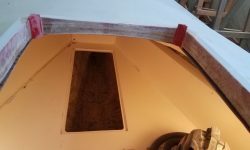 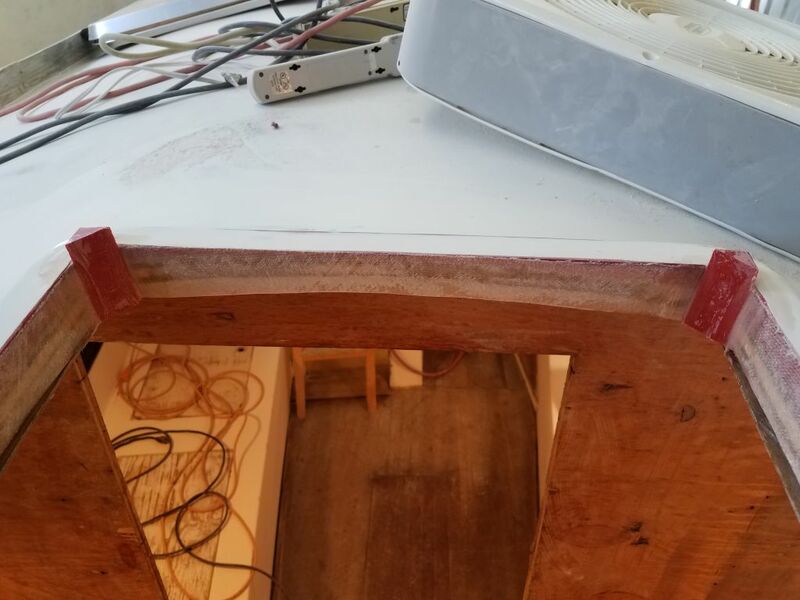 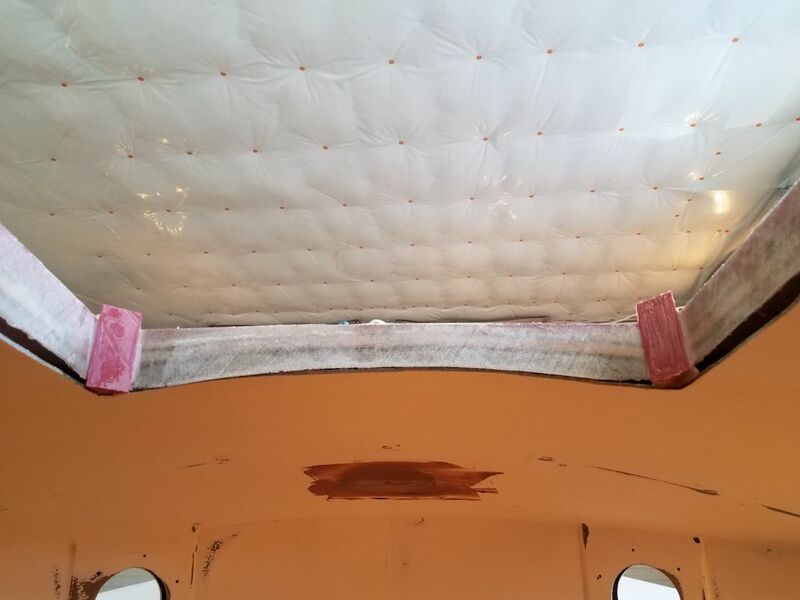 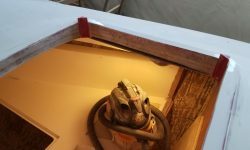 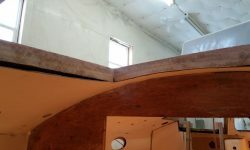 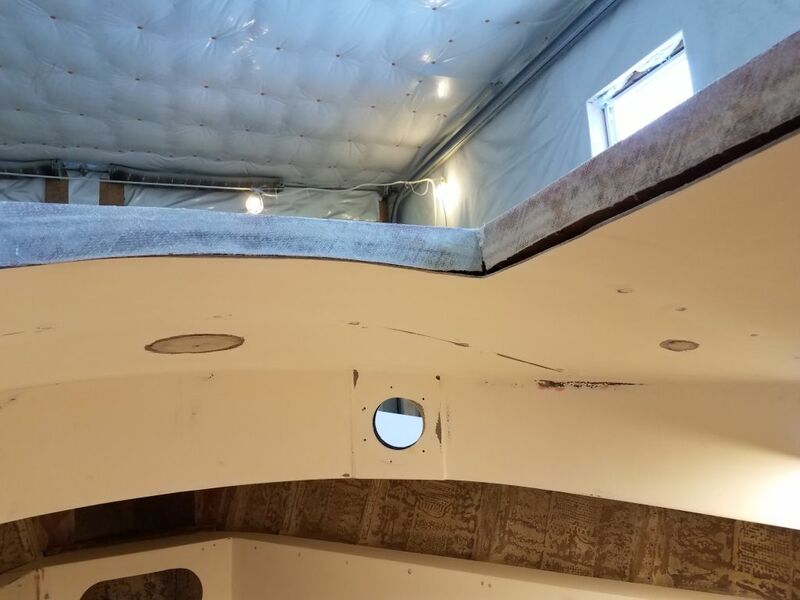 I prepared some triangular pieces of solid fiberglass for the forward hatch opening, to span the inside corners and finish off the inside of the opening where the hatch itself curved around the corners. 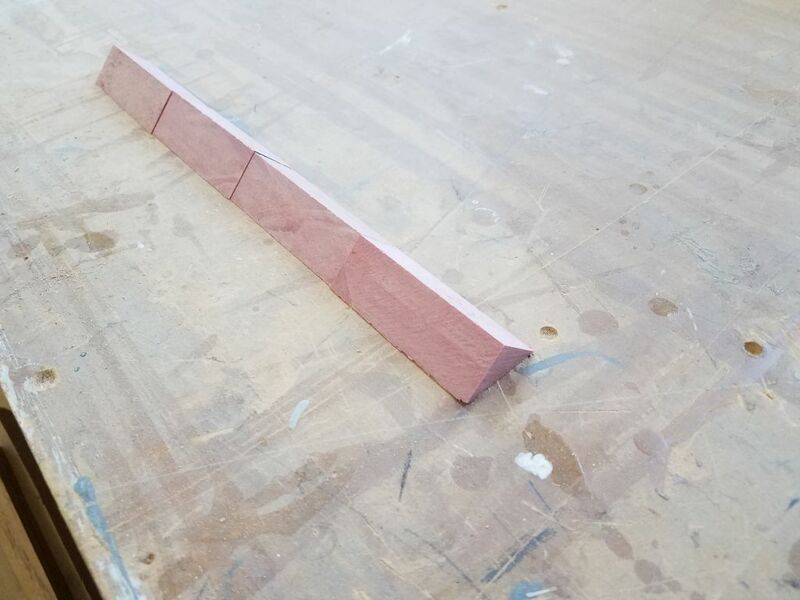 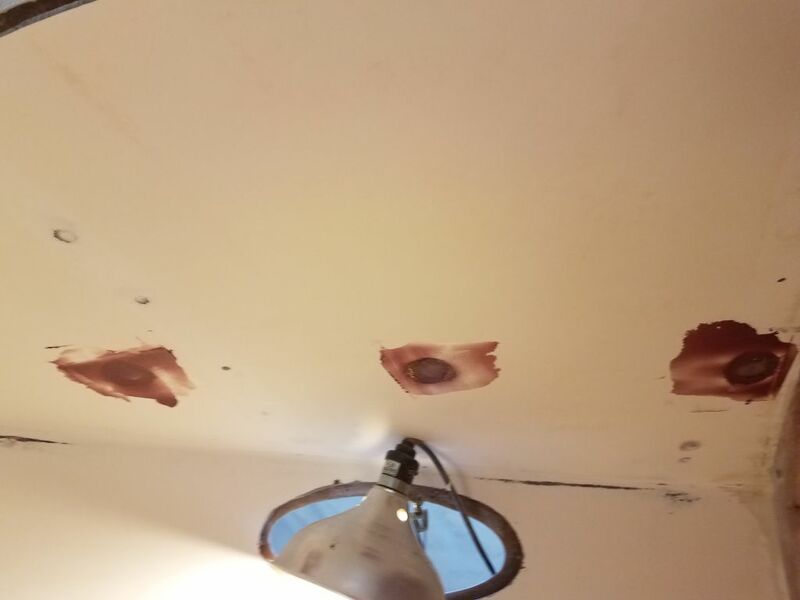 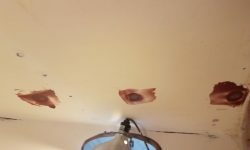 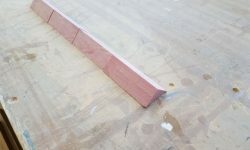 Once cut, I epoxied these into the corners, leaving them so they extended above the top surface for later flush-trimming. 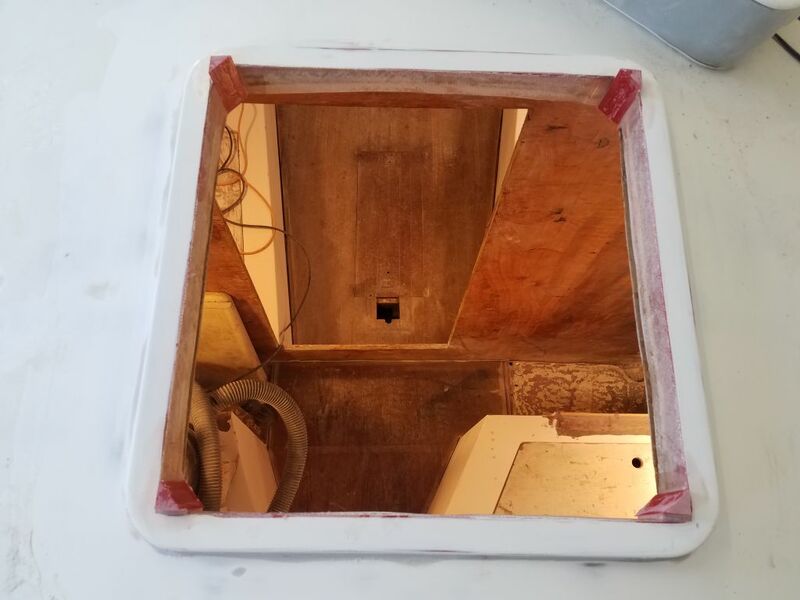 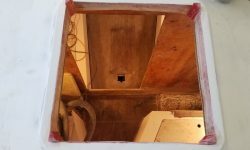 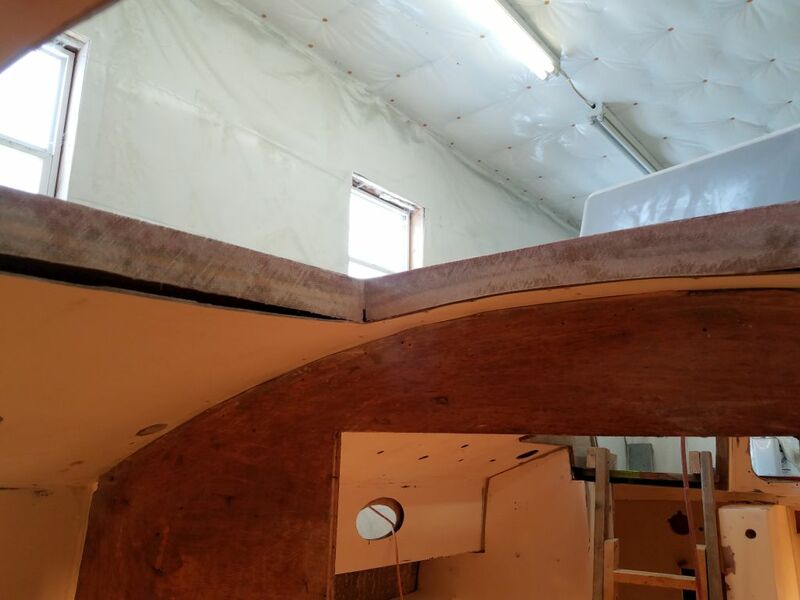 With all the currently-active tasks taken as far as I could for the moment, I started measuring the main cabin and galley areas for some of the new trim and woodwork that would be starting soon, rough measurements so I could begin to estimate the material required. 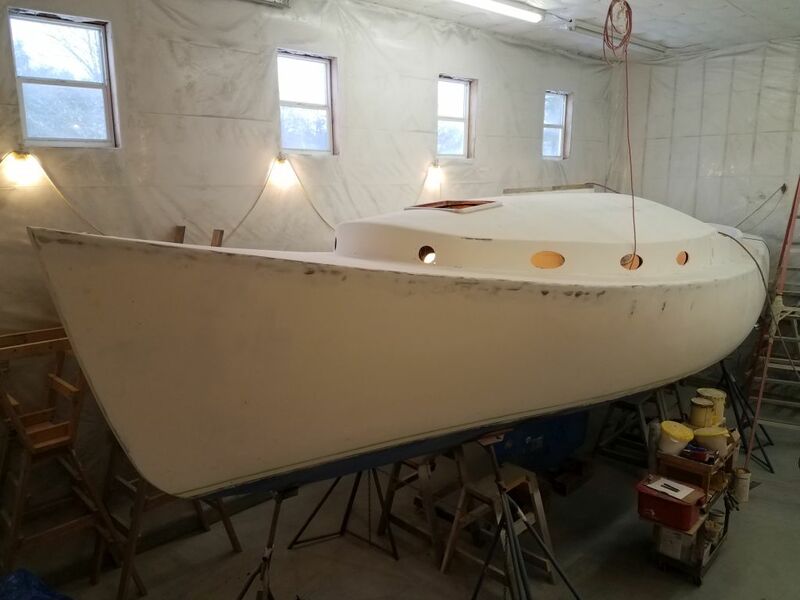 I had a meeting scheduled at the boat tomorrow with the owner, who was flying in for the purpose and his first time actually seeing the boat, and I looked forward to discussing with him the plans for the interior and some specifics that would soon dictate the next courses of action.